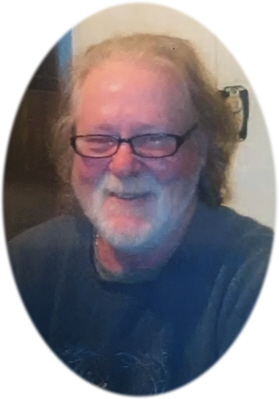 Michael Eugene “Mike” Eaton age 58 of Lansing, MI, passed away Saturday, September 1, 2018, at his home after a short battle with cancer. Funeral Services will be held at Smith Family Funeral Homes - Osgood Chapel, St. Johns, MI, at 1:00 P.M. on Wednesday, September 5, 2018. Burial will take place at South Bingham Township Cemetery, St. Johns, MI. Visitation will be held 11:00 a.m. until time of service on Wednesday. Mike was born in Lansing, Michigan on August 25, 1960, the son Wesley and Margaret (Bayliss) Eaton. He attended Rodney B. Wilson High School, St. Johns, Michigan. Mike was an avid fisherman and hunter. On July 18, 2018, Mike married Treasa Svacha Hetrick at their home and she survives him. Mike is survived by his wife Treasa Eaton; son: Michael Eaton; and step-son: Glen Hetrick. He is also survived by 7 sisters: Debra (Eldean) Wickerham, Barbara (Gary) Markman, Eugenia Eaton, Linda (Michael) Eaton-Cook, Maud (Terry) Farr, Treva (Jodie) Eaton, and Alicia Wilson-Eaton; and a brother Isaac Wilson-Eaton and many nieces and nephews. Michael was preceded in death by his parents, and brother: Clell Eaton. Memorials may be made to the American Cancer Society. Online condolences can be sent to www.smithfamilyfuneralhomes.com. The family is being served by Smith Family Funeral Homes - Osgood Chapel, St. Johns, Michigan.